Niti Aayog has recommended keeping tax levels moderate in order to tackle black money. “Structural changes to reduce flows of black money will involve keeping tax levels moderate and tax administration simple and transparent, and reforms in real estate transactions, including seeding of Aadhar and moderate stamp duties,” said Niti Aayog’s Three Year Action Agenda. It said that the government must frontally address the problem of corruption among tax officials. Cases of corruption among tax officials must be prosecuted and disposed swiftly since without instilling honesty among officials in this area we cannot curb the generation of black money. Niti Aayog’s advice for reforms in real estate transactions is crucial to stamp out black money. The real estate sector sees huge in-flow of unaccounted wealth as properties are evaluated on the basis of the white component, which is based on the circle rate, and the black component, which is the excess amount, paid in cash. People opt to pay and receive money in black while buying properties since they have to pay lower taxes to the government. Lowering of taxes, particularly of income tax, is an old recommendation. But, successive governments have not gone for it. 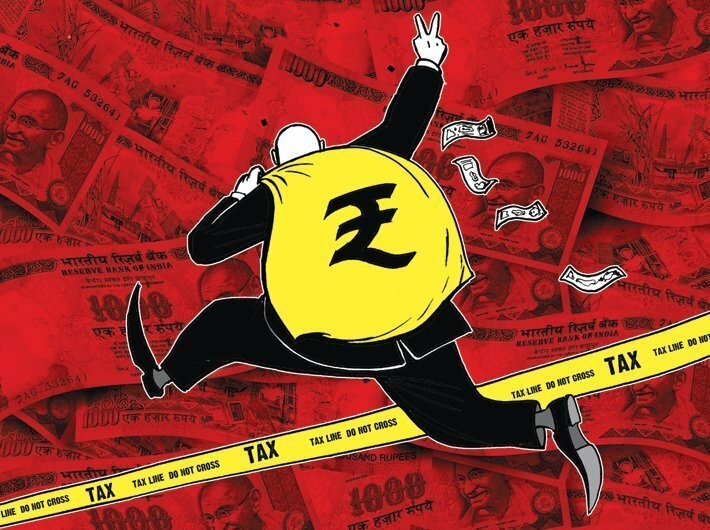 ArthaKranti Pratishthan, a Pune based NGO, which is credited with recommending demonetisation to weed out black money, has repeatedly demanded complete abolition of taxes, direct and indirect by the central or state governments and also the local bodies. It suggested that the taxes be replaced with Bank Transaction Tax (BTT). The idea was that inward bank transaction would attract a levy and it would be a single point tax deducted at source. The 1997-98 budget was described as a dream budget as it presented a road map for economic reforms in India and included lowering income tax rates, removal of the surcharge on corporate taxes, and reduced corporate tax rates. To rationalize taxation in India, the government had set up a high powered committee in August 1991, under the chairmanship of Raja J. Chellaiah. The Chellaiah committee had made recommendations for a comprehensive reform of the system of central taxes. The TRC identified its approach thus: ‘as is well known, the best results in terms of compliance, efficiency and equity are obtained through a system of incorporating moderate rates on a broad base’. The main approach of the committee was therefore to make the tax system simple, efficient and transparent and at the same time productive in terms of revenue generation. Later, the Tax Administration Reforms Commission (TARC) was constituted with a view to review the application of tax policies & tax laws in context of global best practices and recommend measure for reforms required in Tax Administration to enhance its effectiveness and efficiency. The TARC was headed by Parthasarathi Shome. “High tax rates, the inability to understand a complex tax system and procedures, and lack of confidence in government efficiency in the use of revenues are added reasons for low voluntary compliance,” said the TARC. The TARC also noted that India has one of the highest numbers of disputes between tax administration and taxpayers, with lowest proportion of recovery of tax arrears and suggested that pre-filled tax returns should be provided to all individuals. The taxpayer will have the option of accepting the tax return or modifying it, said PRS India.